I was first inspired to follow a career in engineering when I saw Beagle II – a British led probe for Mars – in the news, and heard that British engineers were building it. Before then I hadn’t been aware that the UK had such an advanced space industry, so I didn’t think “Space Engineer” was an option for someone in the UK! I’m actually just about to change roles, so I’m very excited about that. For the last 5 years, I have worked on the design of the structure for the ExoMars Rover – the actual chassis of the vehicle. Now we’ve built all of the structural components, and the design is complete, meaning this team’s job is effectively finished, so it’s time to move to a new role. Starting next week I will be the delivery manager for the first full build of the rover (we build a test version before the real one) – not just the structure but all the other parts like wheels, equipments, camera masts, mechanisms and so on. Delivery manager means I am in charge of making sure it all comes together in the right order and at the right time to get this build delivered, so there will be lots of problem solving when things don’t arrive quite as we expected! For anyone else considering a career in Engineering, I’d absolutely recommend it. It’s really rewarding to design new things and then see them in reality once they are built - I’ve always loved making things and now I get to do that every day – but these things are going to Mars, which is even cooler! I have just finished third year of MEng Aeronautics and Astronautics with Spacecraft Engineering at the University of Southampton, my outcome was First Class (as I found out last night!) and my dissertation title was “The Design, Manufacture and Test of an Electrospray Thruster for Use on CubeSats”. I joined the Future Projects team at Reaction Engines last Tuesday. Throughout my summer internship I will be supporting the team on finding different applications of heat exchangers, in particular studying the feasibility of micro channel heat exchangers being used as thermal control on nanosatellite structures. 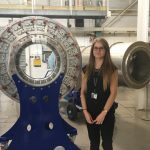 Last summer I was an intern at Airbus Defence and Space in Stevenage and I worked with the Mechanical Engineering team on Antennas. I have also attended a short course titled LadyBird Guide to Spacecraft Operations run by ESA last October (22 students were picked from about 300 applicants to attend the course). 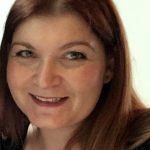 I joined Clyde Space around 18 months ago and work within the business development team with a particular focus on satellite applications. Day-to-day I communicate with customers all over the world and work on writing proposals for the delivery of Clyde Space CubeSat platforms to meet customer requirements. I also travel to attend conferences and events. I love my job because space is awesome! Every day is different with new challenges, but ultimately working at the forefront of technology makes it exciting. From a young age, I had an interest in space and enjoyed maths and science at school. I also had an excellent physics teacher who encouraged me to apply for the Scottish Space School. 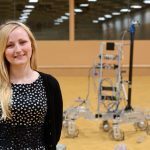 After participating in the programme at the Johnson Space Centre in Houston I decided to study engineering at Strathclyde University, where I gained an undergraduate degree in Aero-Mechanical Engineering and a PhD in Mechanical and Aerospace Engineering, researching novel orbits for observation of the Earth’s polar regions. The opportunities in engineering are endless and I would encourage anyone to pursue an engineering career. If you have an interest in problem solving or understanding how things work then don’t be put off by any perceived barriers. As an engineer you have the chance to have a rewarding career and make a difference. I discovered in high school that I wanted to be a mechanical engineer. It was through my love of maths, physics, figuring out how things work and a passion for craft and design that led me to wanting to do something with practical problem solving. 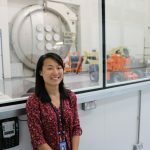 I recall reading a vague description of a mechanical engineer – “develop and design machinery such as automotive vehicles, gas turbines, air conditioning units...” from this definition it hadn’t crossed my mind that I would be working in the space industry – but it turns out, engineers are everywhere! 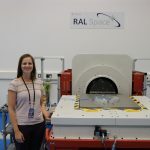 I joined STFC (Science and Technology Facilities Council) in the RAL Space department as a graduate mechanical engineer and I now design calibration equipment for space instruments. My role allows me to follow projects from its conceptual stage to its design development, from its manufacture to its calibration, and all the way through to instrument delivery, all while working closely with engineers from other disciplines. During these stages I use 3D CAD (computer aided design) modelling to allow us to visualise and manipulate the design. The solution is then further developed using various analysis techniques from hand calculations to simulations using FEA (finite element analysis) which can determine the feasibility of the design such as the structural integrity and whether the design fulfils requirements. I also oversee the manufacturing then help assemble the instruments in cleanrooms and test them in vacuum test chambers. One of the most rewarding things is seeing an instrument that I helped create in full operation for the first time! For me, being an engineer is to come up with solutions to a problem, and this is something that I’ve enjoyed since a young age. My advice for those wanting to follow the same career path is to develop a variety of knowledge and skills, both academic and core and always keep expanding on them. This will help you to “think like an engineer” but also give you the tools to convey your ideas to others, as a large part of engineering is working in a team. And of course, do what you enjoy but also never be afraid to get out of your comfort-zone! I have always been fascinated by space and used to write to NASA and ESA when I was younger, asking them to send me pictures of the space shuttle and upcoming missions to plaster over my bedroom walls. I constantly pestered my mother to send me to Space Camp in the USA so was delighted when my physics teacher at school told me about Space School UK. After attending I knew science and engineering were my preferred routes into the space industry so I went on to do a degree in Physics and then a Masters in Space Engineering. Until I finished my degree I had never even thought about spacecraft operations but that is the role I ended up in for most of my career. I worked on various missions ranging from commanding unmanned communications satellites through to planning European operations on board the International Space Station. In my current role I get to see spacecraft from the other side, being part of the team that actually design and build the hardware rather than flying it from a control room. At Neptec UK we build sensors for spacecraft and one of our most exciting ventures involves designing and building a LIDAR which will be part of the landing system for a lunar mission called LunaResource-1. The lander will go to the south pole of the Moon to prospect for water, and it is exciting to think that missions like this could eventually lead to a human habitat there. The best thing I ever did for my career was to join my university space society. Through this I learned that there were plenty of other space enthusiasts out there and plenty of opportunities to get involved in the industry, from rocketry competitions and space schools, to internships and space conferences. My advice to anyone interested in becoming an engineer is to get involved. Whether your passion is space, aviation, mining, or any other aspect of engineering, there are plenty of people and groups who are more than willing to help and support you. I work closely with the other engineers in the company selecting materials and processes that are suitable for our application. This work involves me carrying out a number of experiments as well as understanding all the processes involved at the micro-scale level. I really like the variety in my job. Some days I’m working at my desk investigating a material and another day I’m in the lab testing! The nature of my work also means that I get to interact with lots of teams within the company. I studied Materials Science and Engineering at university after realising that it was one of the aspects of chemistry, physics and product design (which I was studying for AS level) that I enjoyed the most. I was very pleased to discover that this was a specific degree on offer at a number of universities. Any advice I would give to someone thinking about a career in engineering would be to work out what part of engineering you enjoy the most and pursue it. Even if it’s as obscure as materials! 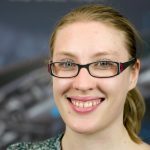 As a Systems Engineer at RAL Space I am involved in the design, build and test of spacecraft instrumentation. 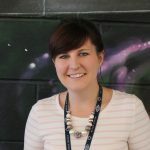 This is an exciting and varied role and one which means I’ve literally designed and handled hardware which is currently in space and is either improving our telecommunications or helping us understand more about the world around us. I feel really lucky to have a job that I find exciting and challenging and which is so diverse that it’s hard to be bored! In my current role I’m involved in all aspects of the instrument lifecycle: from the initial concept phase, then detailed design and finally seeing hardware be manufactured and tested. I find it very rewarding to be working alongside and technically leading a team of people to achieve a common, challenging goal; especially when the goal is as inspiring as successfully delivering an instrument to be installed on a spacecraft. The space industry is an exciting and challenging place to work. It’s an industry which requires a lot of team work and collaboration, some things which are often overlooked when you think of a “typical engineer”. Engineers are often stereotyped, but from my experience there’s no such thing as a typical engineer; what they do have in common is an eagerness to know the answers to “why” and “how”, and that we work together in order to be able to answer these questions. Whatever your background, if you’re someone who asks “why” and “how” then engineering could be an interesting career choice for you. Whatever it is that inspires and excites you, there’s bound to be a way to make it better or more efficient, and as an engineer you could be the one to help make that happen. Whether you come through the Engineering Degree route as I did, or via an Apprentice Scheme, there are lots of different routes to becoming an engineer dependant on your individual strengths, skills and interests.